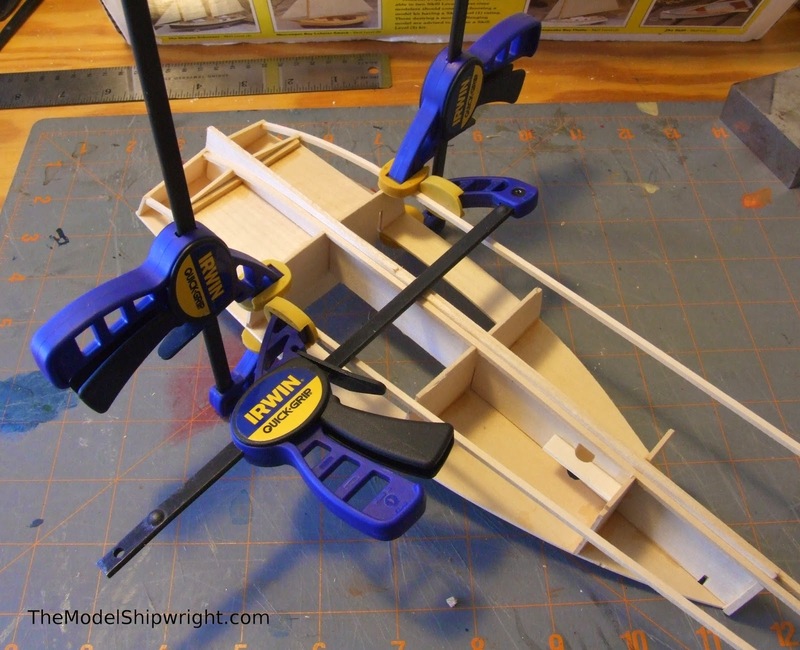 Next up in our construction of the Midwest Products Chesapeake Bay Flattie ship model kit is to create a supporting surface for the bottom and side planks by adding keel and chine strips. The keel strips lie along the keel to keep the bottom planking from sagging between the bulkheads. The chine strips run along the edge where the bottom and sides of the boat meet. The Chesapeake Bay Flattie is considered a "hard chine" boat due to the acute angle at which the side and bottom planking meets. The chine "logs" on a boat like this provide strength to the hull as well.